The little daffodil’s only dream, ever since he was just a bulb, was to grow to be tall, bright, and yellow. But during the winter, the little bulb caught a cold. When springtime finally arrives, the bulb’s brothers and sisters have all grown into beautiful yellow daffodils, while the little daffodil is left spotted and small. The daffodil is ashamed of his red spots, and thinks himself ugly in comparison to his brothers and sisters. So when a little girl comes outside to play for the first time since winter, the little daffodil tries to hide in shame. But the little girl is looking for a special flower to give her grandmother. Does she choose the spotty dotty daffodil? Does the daffodil finally accept his spots? 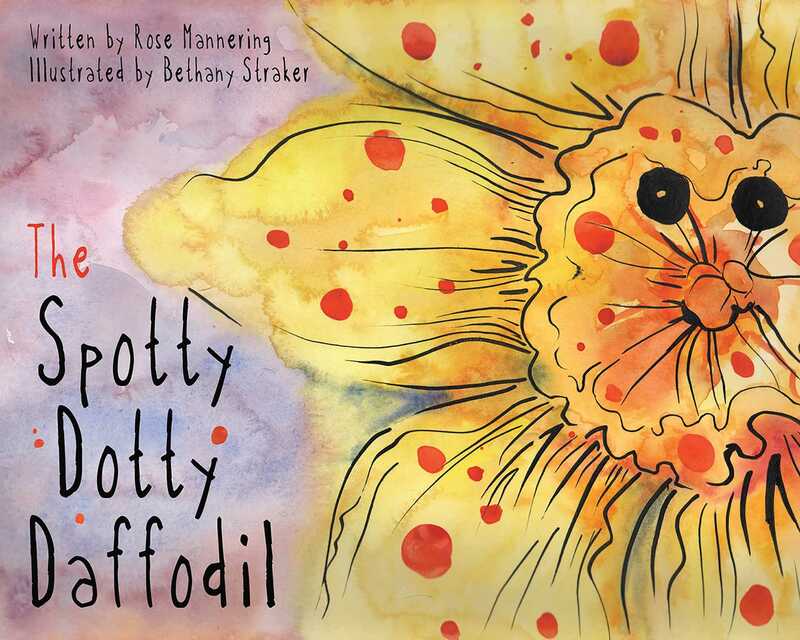 Featuring a heartfelt story of acceptance from author Rose Mannering, and beautiful watercolor illustrations by Bethany Straker, The Spotty Dotty Daffodil celebrates the differences in all of usspots, stripes, or otherwise.